To paraphrase Kurt Vonnegut, "any scientist who can't explain to an eight-year-old what he's doing is a charlatan." This principle is especially true in strategy, perhaps our most human management activity. Artificial Intelligence & Robotics can eventually handle many jobs, but can they make & deploy strategy? Can they motivate a team to be better than it's parts, to rise together in some great endeavor? "How will you win? What is the logic?" I`m a proverbial broken record in strategy sessions. It's remarkable how difficult we find these questions. We've been taught that complexity is profound. In fact, it's a crude state. Simplicity, by contrast, marks the end of a process of refining. The late great physicist, Richard Feynman looked and talked like a New York City cabbie. His Caltech freshmen lectures in Physics, and all his books are classics for their simplicity & humor. 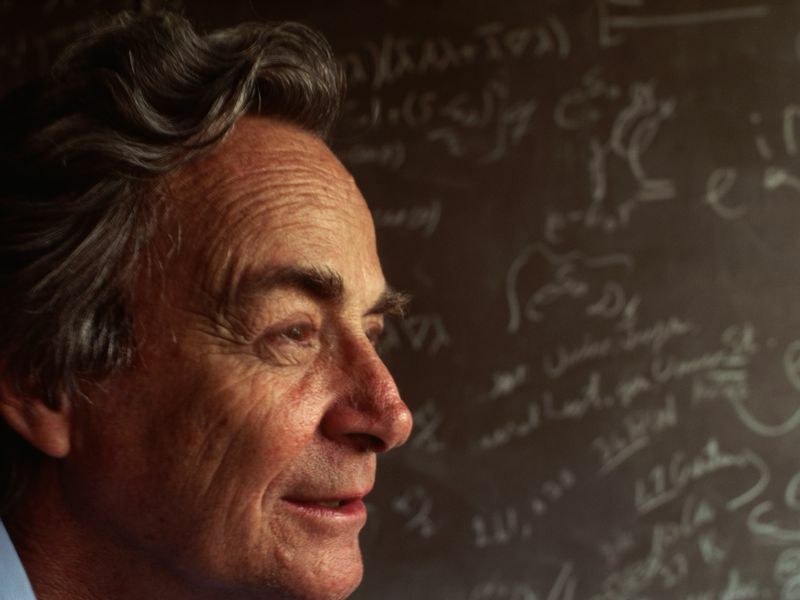 How did Feynman achieve that level of clarity? Through slow, patient reflection, by turning a problem over and over in his mind until a 'simple' explanation suggested itself. And that's where the shoe pinches in our time-starved era. Who has time to turn a problem over and over in their mind these days? Who has the time, as Einstein did, to imagine himself riding a light beam - so as to makes sense of time and gravity and light? Which invokes the second great law of strategy: less is more. Knowing we'll be time-starved, please let's not over-fill our strategy plates, like teenagers at a buffet. "First we'll do this, then this and this and that over there. Oh, and then we'll..."
One of the many benefits of Lean Start-up and Design Thinking is that they force you to simplify and clarify your offering. We test our 'Minimum Viable Product', on the way to our 'Minimum Viable Company'. Similarly, in strategy, we want to deploy our 'minimum viable plan', watching carefully what happens, and ever ready to adjust to the inevitable 'known, and unknown, unknowns' that confront us. Breakthrough entails walking up the stairs in the fog, continually making & easy quick experiments, most of them yielding a negative result.